Slaughterhouse-Five is one of those rare books for me that I can go back to and always find an old friend. I've read Slaughterhouse-Five three times (including this one) and I've somehow been able to find new meaning and metaphor each time. 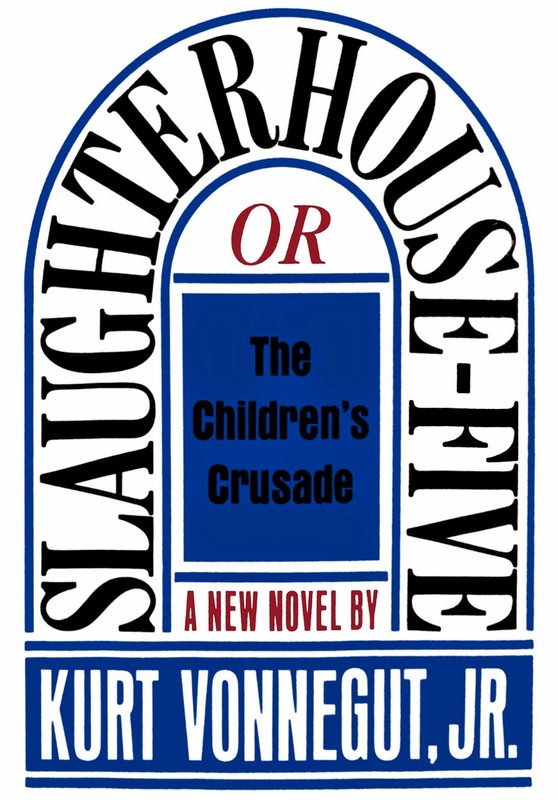 It's a classic in every measure, but for those who are unfamiliar with Vonnegut, Slaughterhouse-Five will more likely baffle on the first read through. It's short. There are elements of metafiction and sci-fi. The narrator is purportedly Vonnegut himself, but proves to be highly unreliable. 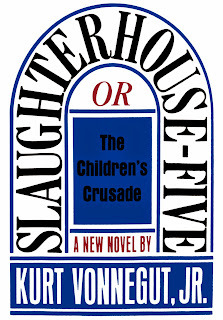 Slaughterhouse-Five masquerades as a World War II novel, but is something else entirely. I can't accurately pinpoint the first time I read Slaughterhouse-Five, but it must have been some five years ago. I didn't know what to expect and was inspired by the first half and dispirited (a little) by the second. The prologue is a master study of metafiction in itself, and if I was a grade school English teacher, I would use it as an example of a great short story. Latter parts of the novel are slightly perplexing. Despite its brevity, Vonnegut packed the novel with different and intersecting plot lines. Billy Pilgrim has come unstuck in time - and Vonnegut bobs around, sometimes switching time lines between paragraphs. Slaughterhouse-Five is a house divided. On one hand, its the tragic story of the bombing of Dresden, during the closing days of World War II. Vonnegut uses his personal experiences to paint a realistic picture of surviving as a prisoner of war. On the other, it's a jumbled sci-fi story of traveling through time into different moments of your life. Billy Pilgrim's self confessed time travel also works as a metaphor for the struggle to create meaning in a post-war world. Black humor simultaneuously perpetuates and hides the narrator's struggle to understand how people not unlike him could consider the death of innocents - in the Dresden bombing and the ensuing firestorm - a succesful operation.